POP-UP 1 features women that are changing the landscape of design through creative uses of materials and technology. The presentation will focus on how to design for the other ½ of consumers — yes, design for women. Female designers, fashionistas, and technology experts come together to imagine, make, and create the future of clothing, accessories, and product concepts for women. 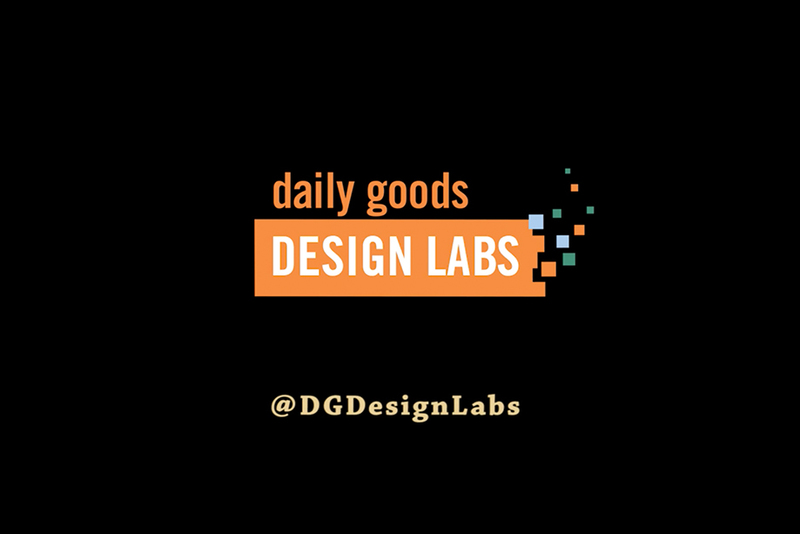 The event includes a 20-minute talk by Daily Goods Design LABS Founder Renn Scott, followed by four 15-minute talks from 4 women focusing in the areas of design, making, and innovation in engineering and technology. Event will wrap-up with a meet-and-greet where the presenters, female designers and engineers, are present for conversations to discuss their work. Founder, VP of Operations and Voice of Customer; Revelo Electric. A design and technology innovation company focused on clean efficient electric transportation. Revelo develops beautifully designed and inventive products that free customers to enjoy their commute, and travel wherever and whenever they want, without compromising ride quality and safety. Founder; Conveyor Built; Innovation workshops to explore design and socio technical issues of technologies. Participants build prototypes of their connected device ideas using open source electronics. Co-Founder; Get Your Bot On! A robotics hackathon, a 3-day robotics design and build competition. Partner; Kate + Chase; Up-cycled women’s bags designed and made here in Toronto. Beautifully crafted with sustainable materials supporting our local community. Co-Founder and Co-Artistic Director; Setsuné Indigenous Fashion Incubator. An incubator which fosters the artistic creation and exhibition of new works by Indigenous artists working in fashion, textiles and crafts. Artistic Producer; Native Women in the Arts and a member of the Chocolate Woman Collective.